-Added support for Pencil by Studio Fiftythree. -Fixed iOS 8 compatibility issues. "Flowpaper is an amazing physics-based art app that is capable of creating gorgeous works of art"
• Ask before clearing canvas. *Set these using the Settings app on your device. Thank you to everyone who has downloaded Flowpaper and to those who have taken the time to leave reviews and suggestions! 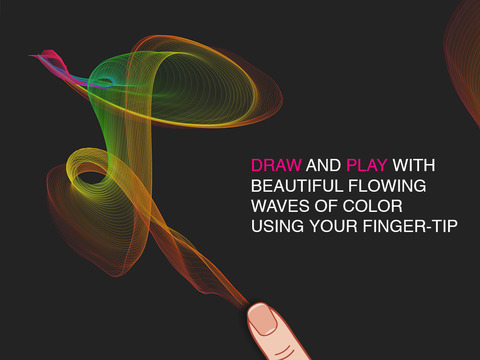 We're really excited by how much people have enjoyed using Flowpaper and by everyone's beautiful creations! -Resolution will vary based on screens aspect ratio and devices iOS version. -In order to load images in Flowpaper you will need to make sure that Location Services is enabled for Flowpaper. You can find this setting under the Settings app > Location Services.